Mass Bay Youth Lacrosse League (MBYLL) has endorsed HGR Lacrosse as a lacrosse organization who shares in the MBYLL philosophies and champions its ideals. In an effort to grow the sport of lacrosse in the Commonwealth of Massachusetts, MBYLL is looking to identify and align with organizations who equally promote the importance of community-based lacrosse and who refrain from conducting their lacrosse offerings in the spring, which would conflict with town lacrosse leagues and deprive youth athletes the freedom and flexibility to play the sport with their town peers and friends. 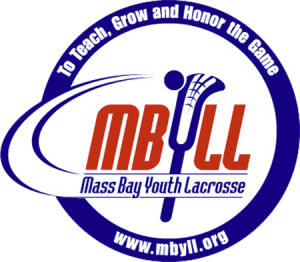 MBYLL recognizes HGR’s support and endorsement of the work we are trying to accomplish in every community in Massachusetts. In turn, we strongly encourage all towns and individual players to consider HGR Lacrosse as an ideal fit for fall / winter indoor lacrosse leagues as well as a team to consider for summer tournaments and other non-spring opportunities. To find out more about the MBYLL click go to the MBYLL website. In a unique effort to increase their commitment to supporting youth lacrosse, Major League Lacrosse’s Boston Cannons have paired with HGR Lacrosse in a unique, mutually supportive relationship. As part of the arrangement, HGR Lacrosse players will receive Cannons tickets, and our league will receive marketing support as well as special game-day events. To read the full press release, and learn all about our partner in MLL Lacrosse, the Boston Cannons, visit http://bostoncannons.com/.